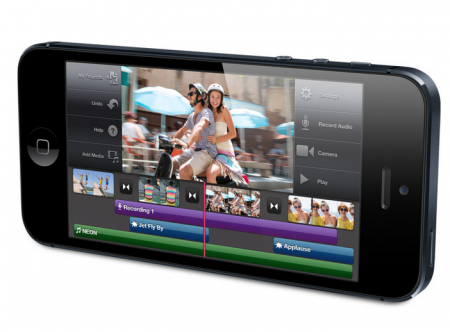 Last week Apple announced the “iPhone 5” as well as new iPod models. Pre-orders for the iPhone 5 started today in some countries and is expected to officially launch in Saudi Arabia in December. iPhone 5’s 4G LTE feature apparently will only work with Zain network, not STC nor Mobily. okay… it’s good news that at least one provider is compatible. But the question is, when is the iPhone 5 expected to be released in Saudi Arabia? and what about prices and plans? Are u sure about the 4G network – I have just asked a friend of mine to pre-order it in the US. I’m getting a 32GB white Unlocked. How about the nano sim – i hear that it is thinner and smaller so we cannt just cut a micro sim and use it !!! The US didn’t start selling unlocked ones yet ! check their website….. I went to itechnia..they can cut ur sim into the new Nano sim..I can’t remember the price..
iphone 5 is fantastic. whether iphone 5 will be released with unlocked version? when it will be released in saudi arabia? And what is the expected price of unlocked iphone 5 in Saudi? I am a fan of your blog being the only real blog for apple enthusiasts in the Kingdom. Really looking forward to the iphone 5 now in December. However I am a little puzzled on the “only will work with Zain” thing. To me it seems a rumour. Both STC and Zain work on the same LTE technology (2600 Mhz) band. Also STC was the first one to launch the nano-sim right in time for the iphone 5 release. And Zain has never originally carried the iphone, and STC and Mobily are likely to release the new iphones as they did previously. Any particular reliable source with the reight reasoning you heard this from? Better go for Lumia 920, iphone 5 is boring! Wait for Lumia 920, iPhone 5 is boring! Just read some comments above, and had to respond. The iPhone 5 will not work on majority of the 4G LTE networks worldwide. This is true and is stated on the Apple website. The US website even notes that only certain US networks will be compatible with LTE frequency implemented in the phone. To sum it up, at the moment the iPhone is going to be compatible with a few 4G LTE networks around the globe, until Apple fixes the issue. It will continue to work fine on the 3G HSPA networks just as expected. I believe that the UK bought iPhones can operate on several frequencies including 1800 which is the one adopted by Zain in Saudi. I think STC and Mobily will utilize the same frequency. However, the US bought phones have different frequencies. This article compares the different iphone5 models and KSA network frequencies and shows on the british model will work in KSA, and only on Zain! Its pretty easy to convert any sim into nano sim. I did it with my mobily sim for my iphone 5. Search google for nano sim template converter and all u gotta do is place your micro sim on the piece of paper and cut… Use a sandpaper to reduce the thickness which wouldn’t be necessary. Wait I thought mobily uses 2.6Ghz LTE. and that is compatible with one of the variant of iPhone 5. There are 3 different version of iPhone 5, now which one would be best to buy? My thinking is to buy the CDMA version. So which version of iphone 5 will best work in Saudi??? Is it the GSM A1428 or CDMA A1429 or GSM A1429???? There are already Iphone 5 available at Jarir, Extra and some mobile shops in the kingdom. In which date in December STC or Mobily will launch Iphone 5 with nano sim card? Thanks for the reply. The iPhone 5 bought in the US is not compatible here until and unless the provider’s support 1800 frequency which is currently only available with Zain. Check for some European countries if they are using frequencies for LTE as of mobily’s or stc’s.